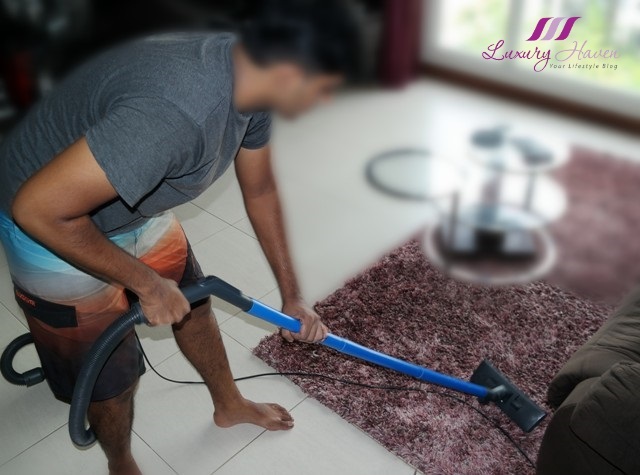 Helpling Singapore Home Cleaning Service: Get FREE 1 Hour! You are here:Home » Promotion / Events » Helpling Singapore Home Cleaning Service: Get FREE 1 Hour! Need a part-time maid? Help is here! Headquartered in the heart of Berlin, Helpling is available in more than 150 cities and is the most widely-available platform for home cleaning. 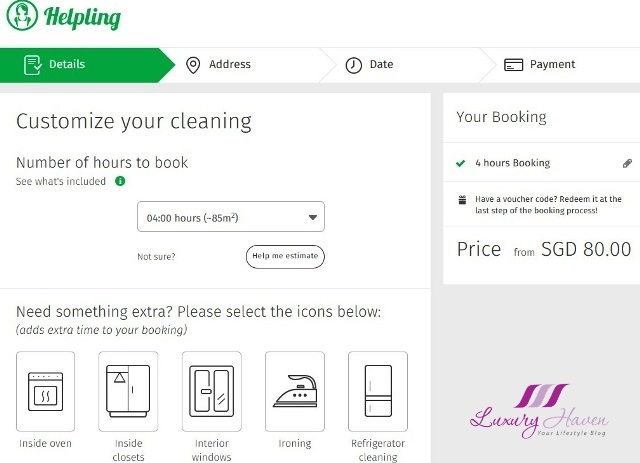 With the launch of Helpling in Singapore recently, being the first city in Asia and the largest player for on-demand household services in Singapore, lucky Singaporeans are now able to search for part-time cleaners with just a click on the mouse. 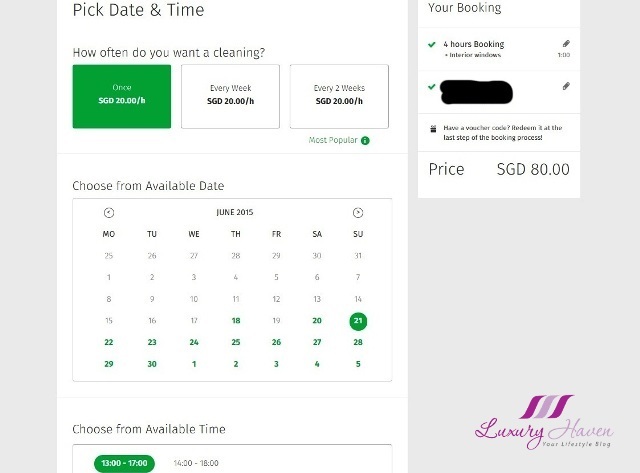 To begin, click on BOOKING and you will be directed to a page where you will be asked the numbers of hours required; the fee will be displayed on the right-hand corner accordingly. Simply add more time if you need extra services such as cleaning inside the oven, closets, windows and refrigerator, or you if you need the cleaner to iron your clothes. 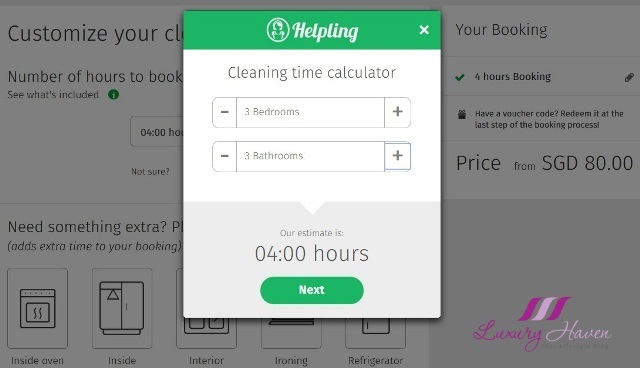 If you are not sure how much time is needed, use the HELP ME ESTIMATE button with the CLEANING TIME CALCULATOR. It is so user-friendly! Next, enter your home address for the cleaning service, and then choose the date and time. Select your payment method and you are almost done! The following page is an important section as this is the place to type in any special instructions. You will also be asked if you have any pets. You will then receive an email confirmation on your booking, and another when they have found a suitable candidate for your home. I had an Indonesian live-in maid for 6 years when my kid was young. But as he grew up, there was no need for a full-time maid anymore. Hence, I was really looking forward to the day to have someone coming in to clean my home again. As listed on Helpling, the home owners will have to provide their own cleaning products and equipment. So I dutifully packed all that are needed into a carry basket, and patiently watching the clock for my part-time cleaner to arrive. I'm not sure about your country, but there's a current trend in Singapore with many youngsters moonlighting as part-time cleaners. Gone are the days with middle-aged aunties coming to your home for cleaning services. Now, there is a new breed of part-time cleaners as young as 20s signing up due to their attractive pay and flexible work arrangement. The job typically pays about SGD 16 an hour! Well, I had a young cleaner who turned up at my doorstep to help me with my cleaning that day. As he is holding a full-time day job on top of this part-time cleaning to supplement his income, I will be using a fictitious name and blurring out some of his photos to protect his privacy. Let's refer him as Bobby and check out what's going on behind the scene! I was actually expecting to see a cleaner arriving in Helpling's uniform as featured on their site, so I was a bit surprised to see Bobby turning up in his own attire. Although it will be wonderful to have a professional cleaner coming to your home in uniform, that's not a big issue as long as he can provide me with a good service, isn't it? Bobby has great personality. 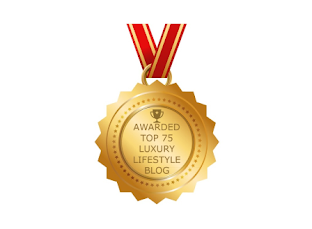 He is very professional and knowledgeable, and provided a superb service. Do not under estimate this young chap cause he knows his cleaning products better than I do! As I am only using those multi-cleaning detergents for my bathrooms, Bobby had suggested that I buy the CIF brand to clean my bathrooms, saying it is especially great for cleaning toilet bowls. Boy, was I impressed! On the cleaning part, there were hits and misses. But when I pointed out to Bobby, like to concentrate more on the bathroom tiles or requested him to clean the glass of my son's cabinet, he was most happy to comply. So be sure to specify your needs to the cleaner. What I like most about the site is using the Helpling's CLEANING TIME CALCULATOR. For 1st-time users who have no idea how much time is needed, this widget comes in real handy. For my case, the estimated time needed to clean the entire home with 3 bedrooms + 3 bathrooms is 4 hours. If windows cleaning is needed, an additional hour is required. I found this pretty helpful actually. 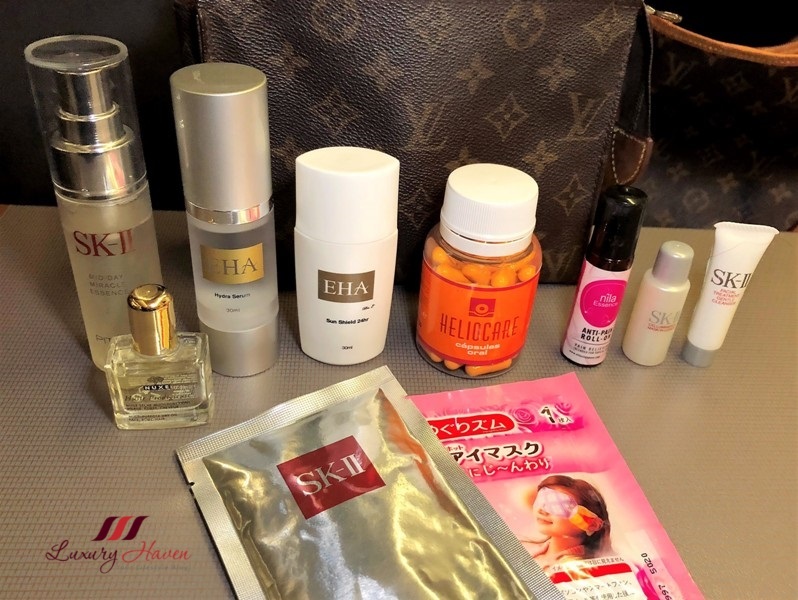 Overall, I had a pretty satisfactory experience with Helpling Singapore. It is also about engaging a cleaning service with a peace of mind. 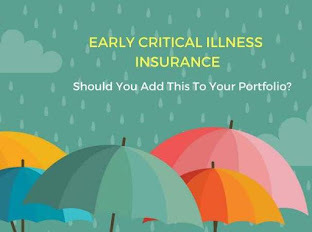 All cleanings with Helplings are backed by a public liability insurance policy of up to $1 million, and the policy is underwritten by one of the largest general insurance providers in the world. This covers damage to property caused by their cleaning partners, among others. Customer satisfaction is very important to Helpling. If you are not happy with the cleaning result, please feel free to contact their customer service line! 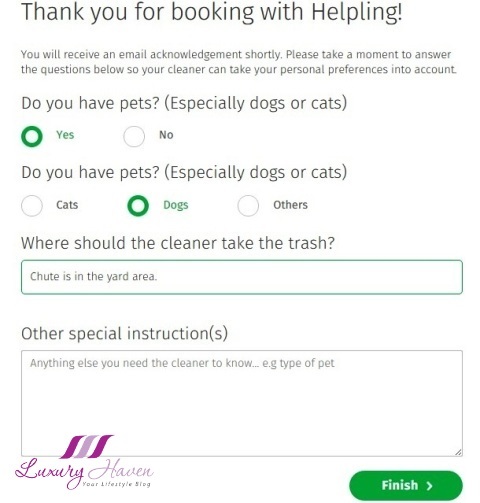 You will also receive a feedback email after your cleaning has been completed where you can rate your cleaner. So What Is The Rate Like? 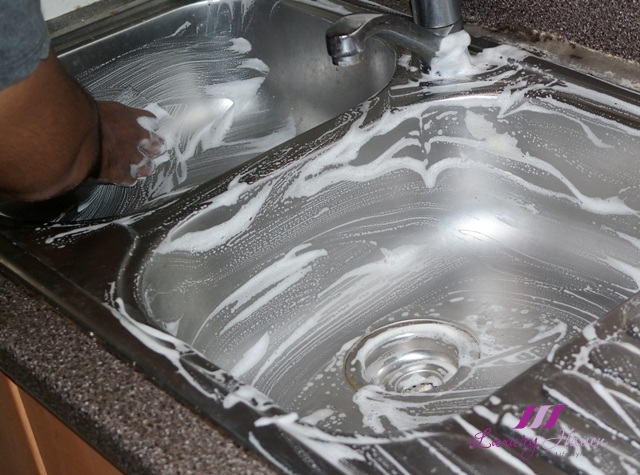 All cleanings are charged at a flat rate of SGD 20/hr with no additional or hidden fees. 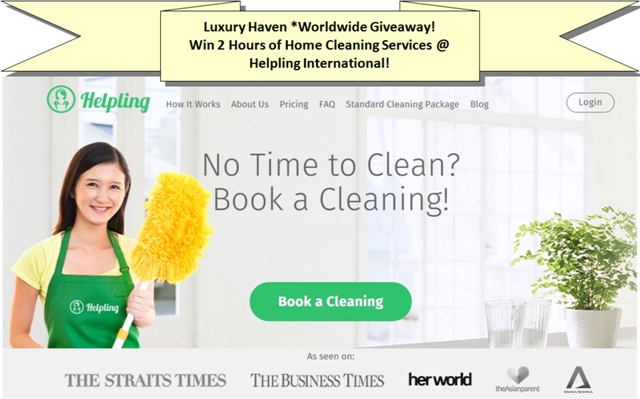 In collaboration with Helpling Singapore, Luxury Haven is offering readers FREE cleaning services at 5 cities around the world, so submit your entries at Win 2 Hrs Home Cleaning Service With Helpling In 5 Cities now! Thank you so much Helpling, for the wonderful cleaning service! This cleaning service does sound wonderful. I think it is great that they can be booked in such a way...and it is good to know they have professional workers who are willing to provide a great service. Very helpful post! I know such services also exist in Split, there is even one that uses only natural and organic products because there are people who are allergic to chemicals in the cleaning products. 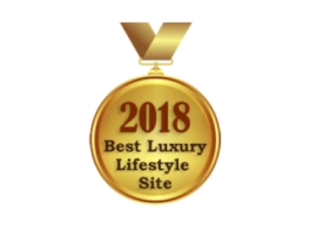 I'm not sure they have they own website, I think they don't but having a web site makes it much more easier for the customer because you can find all the information there. Thank you for sharing too, Ivana! Using organic products sound really great. For Helpling, I guess we don't have to worry about the cleaning products since wev've to provide our own according to individual's preference. Wow! That is really a great help around the house. Glad you are happy with the service. I will have to pass this cleaning service on to my friends. She has been looking for a new one. Thanks for the discount voucher. I should pass the message to my friend. Is it possible to request for female helper instead? Pues muy interesante la información que nos das..me ha gustado mucho!! not bad! 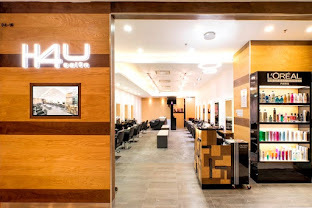 They do have such service in Malaysia but I am not sure whether they are manage by a professional or not. As a single woman who live alone...I am really careful on who I allow to come into my house. Many times I was tempted to hire one of those part timers since I am very bad in house chores but too afraid they may harm me. I can imagine especially in M'sia with high crime rates. You'll definitely need to engage from professional reliable companies. I could need some help but sadly I'm not in Singapore! 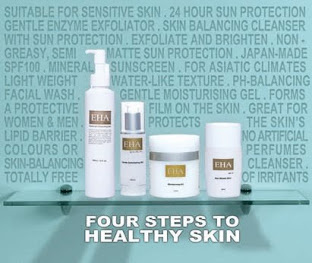 Oh yes, I've tried those products too & they work pretty well! Thanks for sharing, Linda! No youngsters over here moonlighting as part-time cleaners. They are all on fb posting all sorts of stuffs. We still depend on part time cleaners foreign workers. I have them coming over once a week. Thanks for sharing. This would come in real handy when you are running short of time. 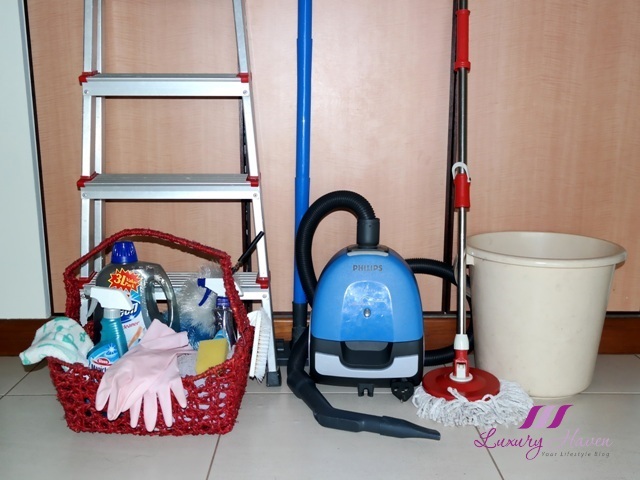 It is a very popular trend here in KL to engage these cleaning services besides having full time maids. Many families have 3 generations living together and their maids are half dead doing so much chores until the owners had to get extra cleaning services. I am surprised they have young men doing cleaning jobs ! That's a great service. Wish there is something like this in Malaysia although I feel the company is not being professional enough. I think there should at least be a uniform instead of just turning up in their own attire. At least a uniform will help to create a cleaner image. But the price looks reasonable as well. 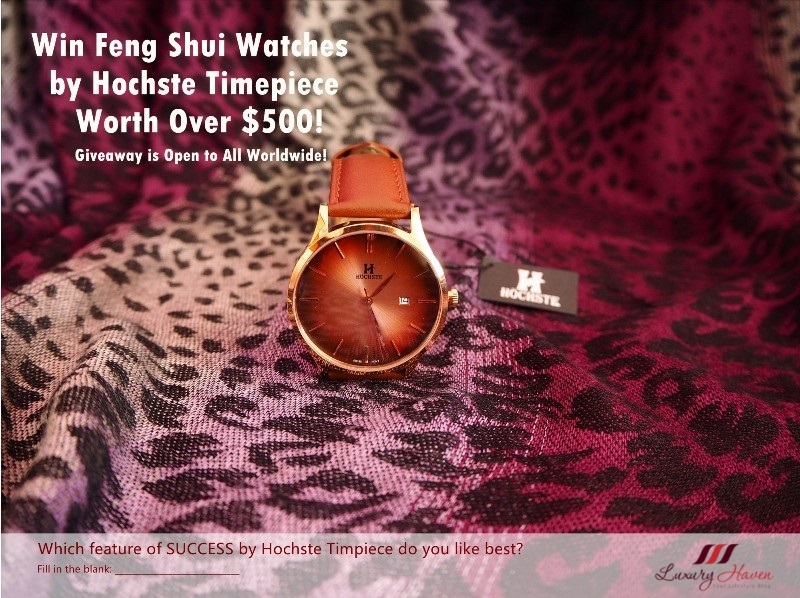 It's definitely great for people who have a busy schedule. Love the fact that you can actually write a feedback on their services as well. The ability to rate them will help to improve the work performance for sure. Just out of curiosity, is the cleaner a Singaporean or foreigner? You've got a point there, Billy! Cleaners in uniform certainly give a better image. Only S'poreans & PR can apply for cleaning positions at Helpling. 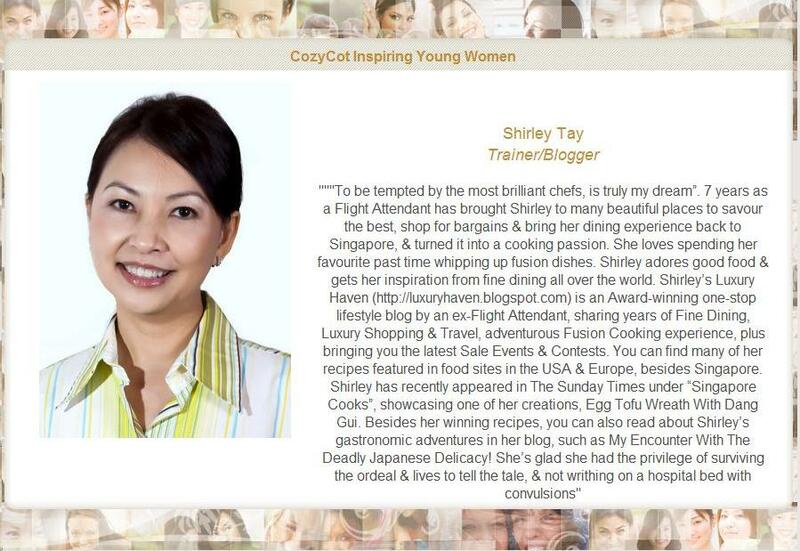 Amazing initiative, Shirley. I had a part-time maid for years. It's good to have some help. Have a great week! Amazing service!! Thanks for sharing! It looks like a very great service thank you for sharing more info about it. Great service!!! thank you so much for your comment!!! 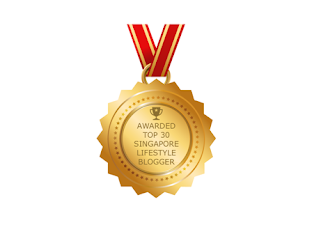 I follow you with GFC, Bloglovin and g+ too!!! I'm very happy if you do the same. Can't wait to have this service here in my country! I'm living alone, but when it cleaning my home, it always takes me a whole day haha, I guess I need this cos they're fast. But I prefer lady cleaners, which I think they probably have, too! Security is important, and since they have insurance for their customers, there' nothing to worry about your things. Looks like a great service! He even cleans inside cabinets? Impressive! Bobby did a great job cleaning your house! I would call them to come over to work at my house when I'm tired and busy if I lived in Singapore:). Have a wonderful through the week dear Shirley:). everyone I know needs help in cleaning most of the time. Looks like a great service and job well done... wish we has something like this here. I really dislike doing cleaning so this service would be so great if it is available here.